Are you easily distracted and keep checking your mobile phone for the Fear of Missing Out (FOMO)? We are all having challenges digesting tech and the hosepipe of information that is overwhelming. The Nobel laureate economist Herbert A. Simon wrote as far back as 1977 that ‘a wealth of information creates a poverty of attention’. Full text of that quotation below. In evidence of Simon’s observation, The US National Center for Biotechnology Information suggests the average human attention span declined by four seconds between 2000 and 2013, down from twelve seconds to eight. Read about it in The Daily Telegraph it has a nice picture as an incentive to read the article. Have you tuned out yet? The consequences: we are attention poor, suffering from information indigestion and the capacity to process or understand it. I write books and now rethinking how I write. People are busy and easily distracted and just want soundbites. Are we dumbing down? I think we are. But you know what; no way am I giving up my mobile phone and computer. I will just have to … I know, do what everyone else does. Carry On Suffering. 8 Seconds is a 1994 American film and its title refers to the length of time a bull rider is required to stay on for a ride to be scored. 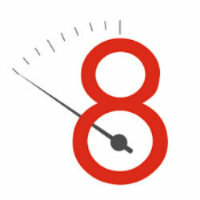 In Chinese culture the word of the number 8 sounds similar to the word which means “prosper” or “wealth”. Good to end on a positive note, not that I expect I still have your attention.